How Can You Deliver Business Intelligence for PLM? I’d like to open a series of discussions related to business intelligence and PLM. I had a chance to speak with a few people last week at a Gartner Business Intelligence event about various aspects of business intelligence – technological, social, business. One topic was very popular – the need to connect Business Intelligence to Processes in the organization. 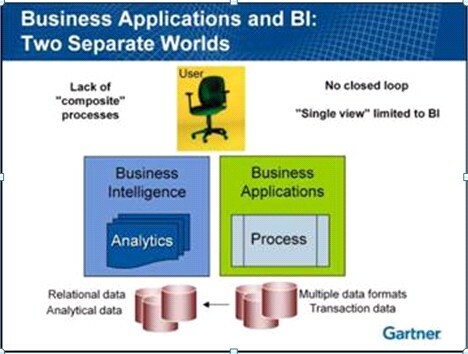 For a Business Intelligence (BI) deployment, the decision-maker (end user) is the primary focus. 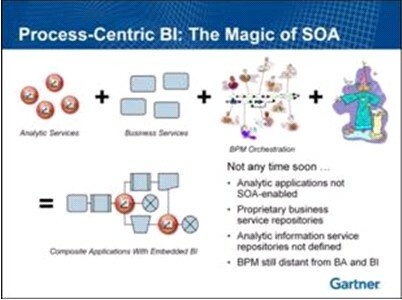 The goal of BI is to deliver the right information to the right user at the right time. The problem is, the most of BI tools and deployments require the users to stop operating in their traditional workspace and move to another environment to view information. Most users are just too busy to do it – leave their environment, browse the reports and enter data warehouse environment. Looking at this problem from Product Lifecycle Management standpoint, I think PLM can benefit tremendously from the ability to deliver various analytical information to decision-makers – designers, engineers, and managers. Many different people make multiple decisions at different levels, and on multiple products during their working day – decision about product design, changes, implementation. In my opinion, there are several issues that need to be resolved to make this happen. Metadata is data ABOUT data. Why I emphasize ABOUT is because this is a very key point. This is not just another portion of data – this is a way of explaining what information we manage. Metadata management allows us to describe what information we have at hand. Unfortunately, in today’s enterprises, information is very siloed and not well-explained. Each system (i.e. PLM) have their way to explain data they manage. Business Intelligence relies mostly of Data Warehouse or ERP-based data management domains that have their own data. Users in both domains speak about the same data differently and therefore many end users are confused about this discrepancy and about understanding existing data relation. As a result, all BI tools are becoming out of reach for end users in product design, development, engineering, manufacturing and other domains. Business Process Management used in an organization, as well as the collaborative process application delivered by product lifecycle management packages, are not flexible enough to allow additional ad-hoc integration tools. These tools include Business Intelligence applications. These process tools require additional customization, configuration, and adaptation in order to allow analytic data to become part of a business process. On the other hand, process of data analyses is very unpredictable and cannot be defined from the beginning. In today’s world, all starts and ends with user experience. Today’s enterprise systems are complex, and BI systems are even more complex. Until we find a way to change this situation and bring simple and clear data to the end user, we will not be able to achieve massive user adoption. 1. System will become more open and will share data in formats other systems can understand. Similar processes happened in Web 2.0. 2. 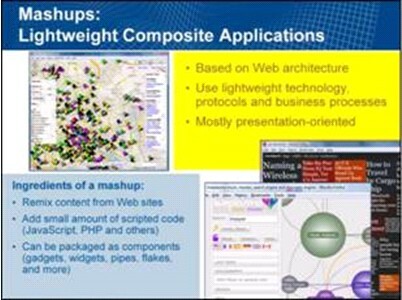 End user experience technologies, especially Mashups, will allow cross system data syndication and data presentation for the end user. 3. Future adoption of SOA will allow business services to merge with analytical services within a single organizational process. I’d like to discuss and hear about the potential need, scenarios, or possible usage of business analytic data for product development that has occurred or occurs in your organization. Another excellent topic, which I believe is related to the thread on collaboration from last week. In my company we are currently involved in a number of Continuous Improvement efforts. After mapping out current state of several business processes, it is becoming clear that many existing opportunities for improvement involve gleaning the information from a number of disparate systems and then making decisions based on a sort of composite view of information from these systems. We are starting to think about putting together a kind of a dashboard that will consolidate various metrics associated with a particular product design process, a failry daunting task because of the dispersed nature of the data. Some of it is in our ERP system, some in PLM, and a fair portion is in the various spreadsheets and ad-hoc databases. One example involves a fairly dynamic situation where our customers may change the product requirements or change a delivery date, and all of this has to be communicated, re-scheduled and re-prioratized with the design organization. In other words, design changes controlled in the PLM system are triggered by events outside of the system and the resulting outcomes (changes to the product structure?) must be communicated to yet another system at the appropriate points in time. Unfortunately , the underlying communication and coordination elements do not exist in any of the systems, at least out of the box, and they are sorely needed.